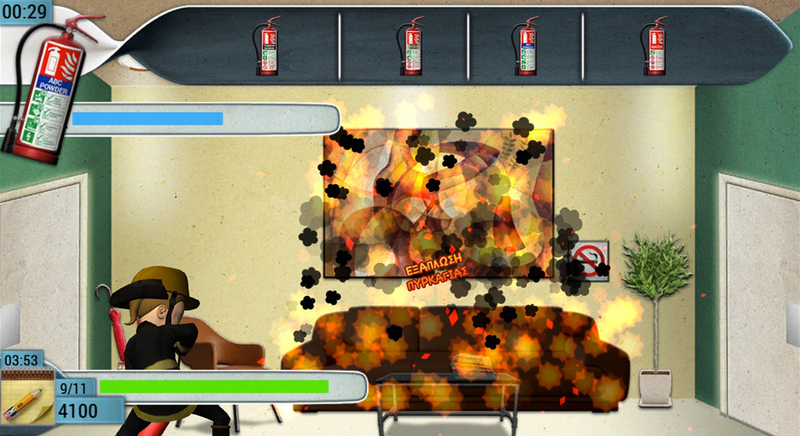 Fire Safety Game was created in order to help all company employees understand some basic instructions of how to prevent causing a fire as well as how to react in case of a fire emergency. Because it is a game though, it includes some parts that are only meant to entertain the player, although the environment is still related to fire issues. The more engaged a player feels like when playing a game, the more effective is the learning process.